The Institute of Business Ethics was established in 1986 to promote high standards of business behaviour based on ethical values. 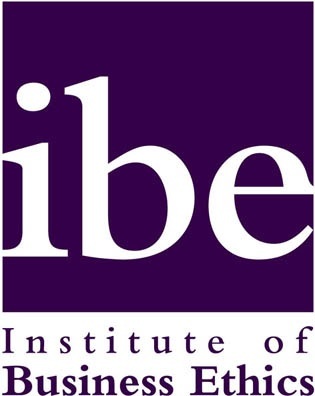 The IBE is an important partner to any business wanting to preserve its long-term reputation by doing business in the right way. All organisations need to demonstrate they are trustworthy in order to operate effectively and sustainably. Reputations are not based solely on the delivery of products and services, but on how an organisation values its stakeholders. Having a reputation for acting with honesty and ethics will not only differentiate an organisation, it will make it more successful. For over 30 years, the IBE has advised organisations on how to strengthen their ethical culture by sharing knowledge and good practice, resulting in relationships with employees and stakeholders that are based on trust. Educating the next generation of business leaders in schools and universities.